Colorburned Studio has released Part One – 106 Delicious Water Color Illustrator Brushes and Part Two – 105 More Delicious Water Color Illustrator Brushes. They are perfect for creating multi-colored brush strokes and could easily be used to create an artsy, hand-painted design or a children’s illustration. You are free to use these in both your commercial and personal works. Once downloaded, open up your brush palette and in the fly out menu select Open Brush Library > Other Library > and locate the file on your hard drive. To use these brushes you must be using Illustrator CS and above. Once you have the brush file open, you can start applying these brushes to your lines and shapes. PS Brushes has a cleaner look to minimize the usless content and give you direct access to almost all Photoshop Brushes around the internet. All the photoshop brushes are categorized into the following categories, Abstract, Animals, Around the House, Drawings, Fractals, Grunge, Hearts, Humans, Landscapes, Music, Oriental, Outer Space, Patterns, Photos & Frames, Plants, Religious, Scratches, Shapes, Street & Misc Signs, Structural, Text & Type and War Brushes. It is time for some quality Photoshop Brushes again. 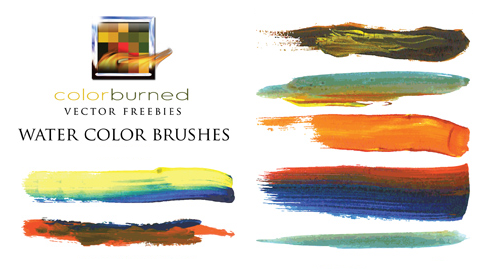 Graphic designer JavierZhX from Mexico has designed a set of beautiful Photoshop brushes for us. Have a look at them, they are just gorgeous and useful. R0man.de released series of Abstract Photoshop Brushes. These awesome brushes are free to use on your projects. The only requirement is a copy of Photoshop 7.0+ to use them. What are you waiting for now? BittBox provides a lot of free and original source files of photoshop brushes. You are free to use Bittbox files in posters, website designs, cd covers, postcards, annuals, flyers, business cards, branding, . . . DESIGN. Here are some of his photoshop brushes. Apart from these stunning brushes, there are a lot of free to download design elements and vectors. I am sure you will be amazed how useful they are. Brusheezy is not the best name but has a hugh collection of top quality photoshop brushes and patterns. Users are free to download and vote for the best custom photoshop brushes and patterns. Hawksmont Universe released over 30 sets of brushes including G.I.M.P and Photoshop brushes. They are free to use in non-commercial and commercial designs. These brushes have different themes, e.g. gun brushes, skyline brushes, finger prints brushes and splatters brushes,etc.